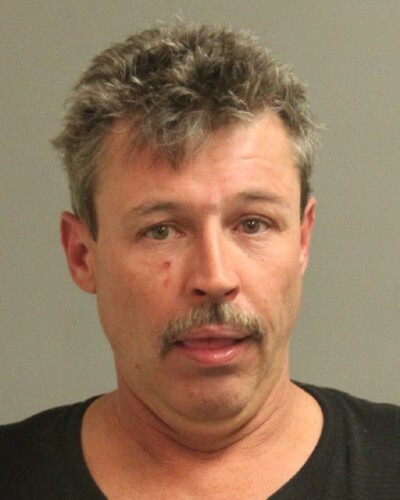 On October 23, 2012, at approximately 11:31 p.m., officers from the Northern District responded to the 300 block of Rose Ave in Glen Burnie for a reported domestic assault. Upon arrival, officers learned that a male had forcibly entered the dwelling armed with a knife and a destructive device, later determined to be a “Molotov cocktail”, and threatened two occupants. A struggle ensued and the occupants sustained minor injuries. The suspect then threw a bottle containing an unknown flammable liquid with a rag as a wick onto a bed where the occupants were located. The item failed to ignite at which time the suspect forced the female to exit the residence. They were last observed walking towards Corkran Middle School. With the help of Aviation and K-9 teams, both the suspect and female were located hiding in a wooded area near the school. The male was arrested without incident. The female was treated by the Anne Arundel County Fire Department for her non life threatening injuries. During her debriefing, it was determined that she was held against her will. The dwelling was occupied by several other tenants in adjoining apartments. The Anne Arundel County Fire Marshalls Office responded and assisted in processing the scene. Charles Wayne Rogers (9/17/61) 7528 Baltimore Annapolis Blvd. Glen Burnie MD, 21061.